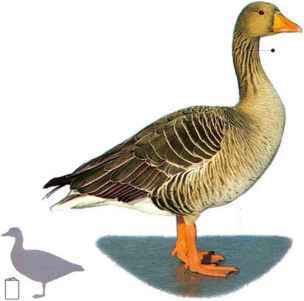 I his goose is seen swimming on rivers, lakes, and marshes and walking or running in grassland and pasture. It is strongly built and has a short, stout bill that can demolish leaves and stems and dig up roots for food. 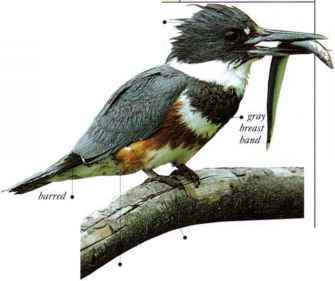 Its flight is strong and direct, showing conspicuous, blue-gray wing coverts, and birds often travel in V formation. The Greylag is an alert, suspicious goose, raising the alarm at the slightest disturbance with loud, harsh calls. • NEST A shallow, natural depression in the ground, lined with leaves and an inner cup of feather down. • DISTRIBUTION Across Eurasia apart from N. Russia and N. Siberia. Winters as far south as N. Africa, Iran, India, and China.